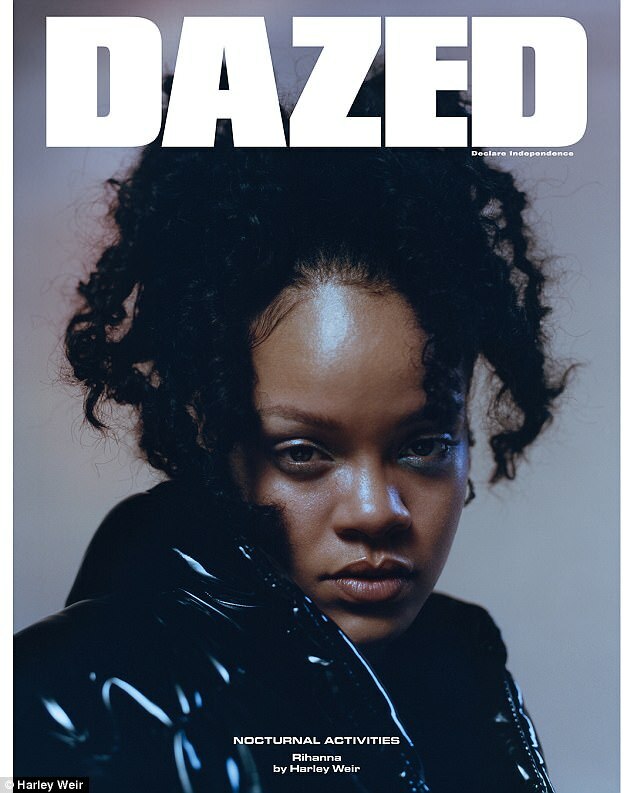 Rihanna showed off her grungier style on Tuesday, as she unveiled her four fierce cover shots for Dazed magazine. And now, the singer, 29, can be seen in the inside shots from the magazine - which continues the slightly macabre theme from her cover shots. 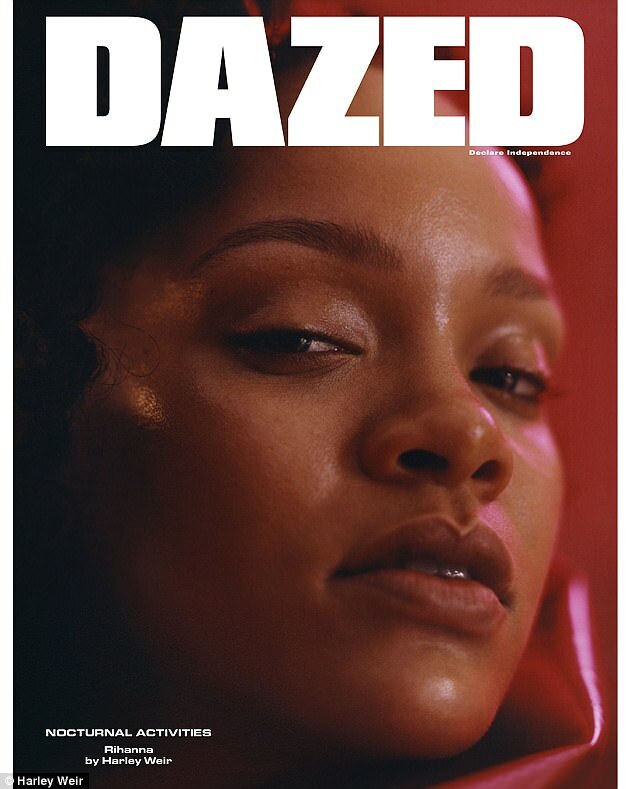 Rihanna shrouds her famous figure in a semi-sheer red dress in one shot, which see her kneeling on the ground, her rear in the air. 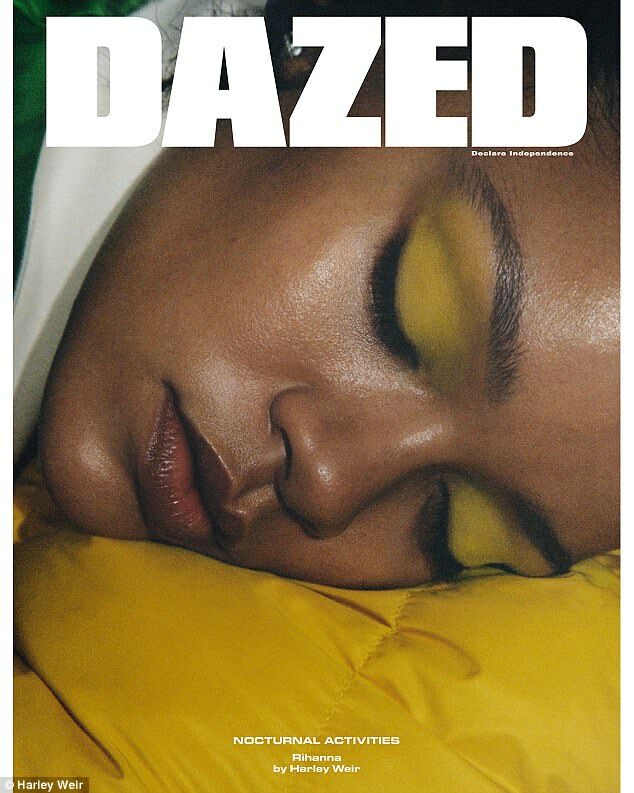 As a big fan of fashion herself, Rihanna recently opened up about her own tastes in clothing - and admitted she often struggles to dress her body shape. Speaking to The Cut, the songstress said: 'I actually have had the pleasure of a fluctuating body type, where one day I can literally fit into something that is bodycon, and then the next day - the next week - I need something oversized.